Pretty excited to finally get a #trailcam for our property! i'm always curious to know what is lurking around our property at night! 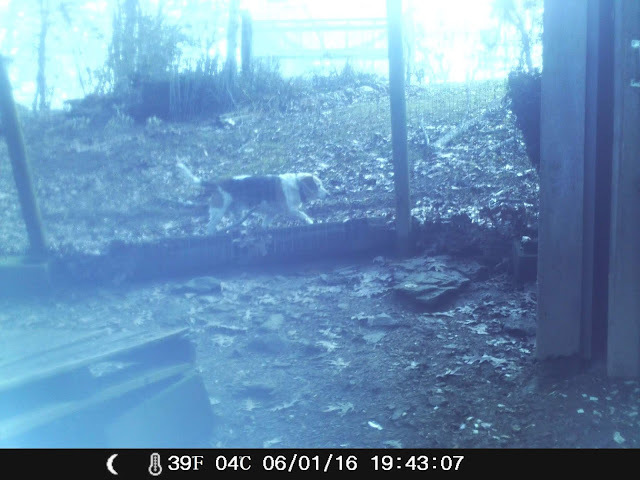 We've had bear, bobcats, fox and coyotes come through, but have never been able to catch them on camera. 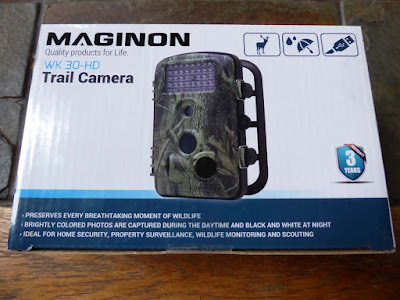 Maginon sent me their WK 30-HD Trail camera to review. 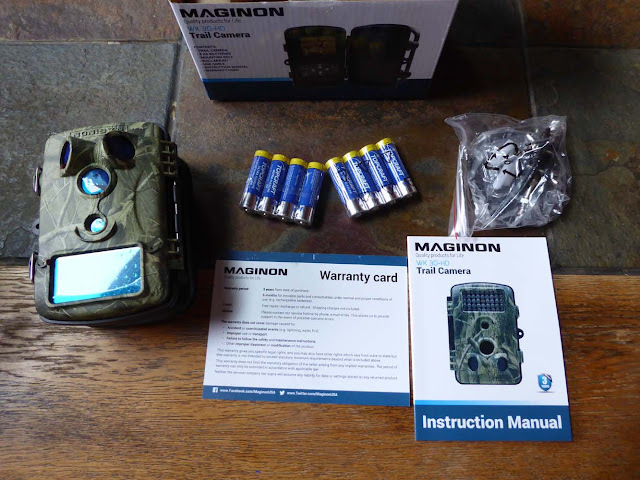 This Trail cam comes with 8 AA Batteries, Mounting belt, Wall mount, USB cable and Instruction manual. 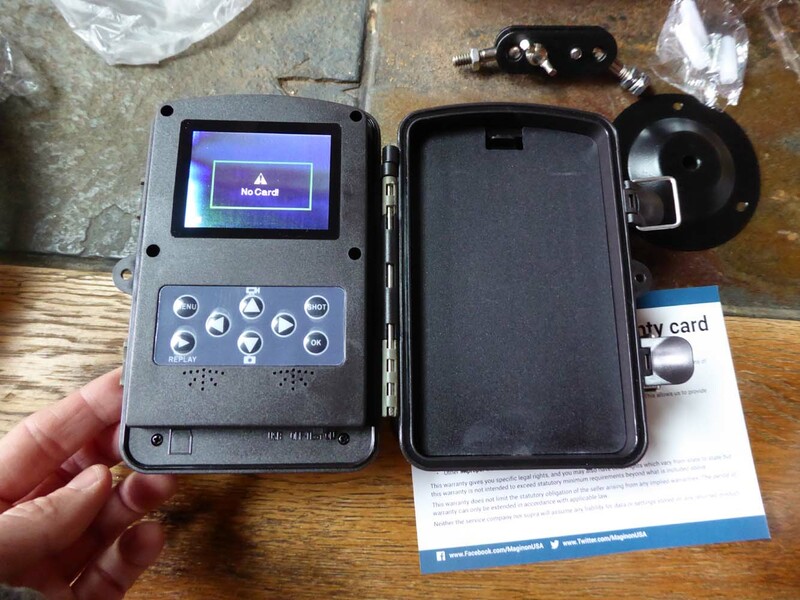 It didn't come with the SD card, so you have to provide your own. Once you insert the card, you can set the camera. The camera can be set to take pics or videos or a picture + a video. You can set how many pictures it takes, and how long the video plays. It was easy to set up, although i still need to change the time/date. 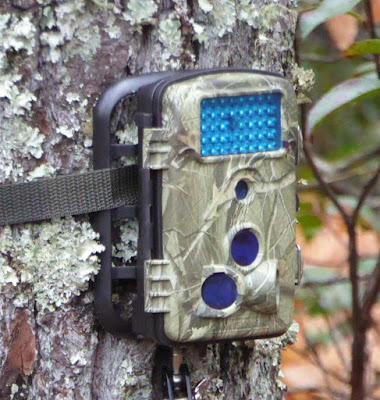 When i first got it, i set it up in an area where the deer typically come through, but after two days the only thing on the camera was me turning it on. Since i wanted to review it soon, and didn't want to wait days (or weeks) for a critter to show up i decided to set it up in the chicken coop just to see how it captured the images. i had fun checking through all the videos that it captured yesterday. Since it was in the chicken coop most of the videos are of the chickens of course, but i also caught my beagle walking past, my husband closing up the chicken coop and a RAT running around in the dark. eek! i'm looking forward to seeing this up in different areas on our land to see what is hanging around. According to the description it takes crystal clear day shots in color, black and white shots at night. i wouldn't call the images crystal clear, but it was raining and hazy yesterday. The images are still good for a trail cam. i'm going to play around with it some more, and i'm sure i'll be posting lots of videos of the different critters we capture on it. i set it out again last night on the deer trail, and it took several videos. Although there were no critters in the video, i could hear something walking around in the leaves so i may have to change the view of my camera. Tonight i'll be placing it further out in the woods near our creak. i've very curios to see what comes to drink there. This is a nice camera, it's durable and waterproof. It comes with a 3 year warranty. i did receive the product at no cost and a small compensation for my review, but it did not influence my opinion of the product. My opinions are my own.